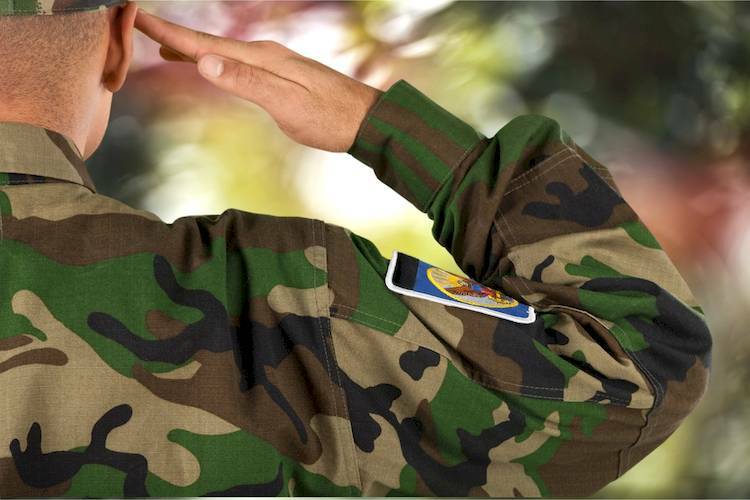 The state of Arizona offers a number of benefits and perks for those Americans who have either served in an Armed Forces branch in the past, or are current active military members. Residents on active duty outside of Arizona (including those in the Arizona National Guard) when their registration expires may apply for an exemption which excuses you from registration fees and VLTs (vehicle license taxes) upon your return and renewal. The exemption applies to two vehicles. Veterans who are verified 100% disabled, or veterans whose vehicle has been paid for by the Department of Veterans Affairs, are exempt from registration fees and VLTs on one vehicle. Spouses of military personnel killed in action are also exempt, until such time as they remarry. Documentation may be required. The Commercial Learner’s Permit rule, put into place in 2011 by the Federal Motor Carrier Safety Administration, offers military members and veterans the opportunity to transfer their commercial military vehicle experience into civilian life. If you qualify, you can skip the skills test (although you will still have to take the written test). You must have at least two years of experience driving a commercial type vehicle, and that experience must have taken place within a year prior to discharge or application (if still active in the service). There are some offenses that can disqualify you from taking advantage of this benefit, and you must be able to certify to a SDLA (State Driver Licensing Agency) that you have a history of safe driving and have not had more than one license (outside of your military license) in the past two years. All 50 states take part in the Military Skills Test Waiver program, making it easy to obtain your CDL no matter where you are. Military personnel and veterans with qualifying experience can download and print the waiver here. This piece of legislation makes it easier for military personnel to get a CDL even if they’re stationed in a state other than their home state. Eligible branches include the National Guard, Coast Guard, Reserves, and Coast Guard Auxiliary, in addition to the other main branches. This is particularly advantageous if you have a CDL in your home state but are stationed somewhere else. If you are deployed or stationed out of state when your driver license is due for renewal, the DMV will extend your expiration until six months after you are discharged from military service. Residents on active duty stationed out of state may renew their vehicle registration online, by phone, or by mail. If the vehicle in question is out of state at the time, you may apply for an exemption from emissions testing. Arizona provides an exemption for non-resident personnel stationed in the state, excusing them from paying the VLT portion of the registration fee. In order to qualify you must provide an affidavit of non-resident service personnel issued and certified by your commanding officer. Your vehicle must also meet emissions standards, and you must pay the standard registration fee. Non-resident military personnel stationed in Arizona will need to visit a MVD office to apply for an Arizona driver license. Active or veteran military personnel can read more at the state’s motor vehicle division website here.